Summer never tasted so good for El Coraloense, a Bell Gardens Mexican seafood restaurant as it won Best Paella and will now be representing the United States at this Sueca International Contest of Valencian Paella. 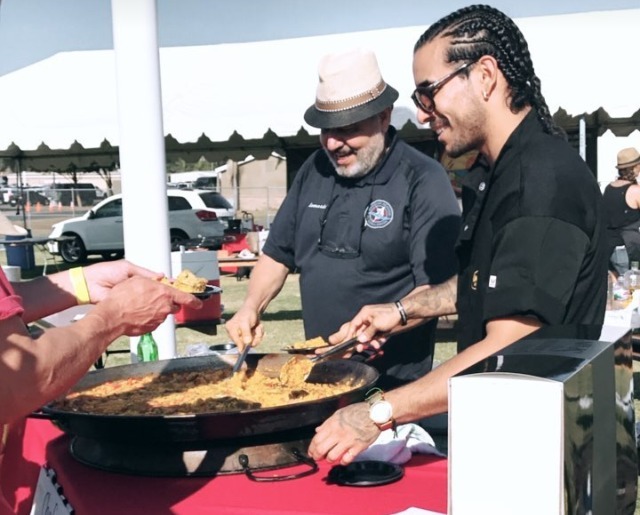 El Coraloense Restaurante’s latest victory came at the Orange County Paella Wine & Beer Festival on Aug. 26 as they entered with a Paella Valencia, made out of pork, rabbit, and chicken. They competed against 15 other restaurants for the grand prize of two first-class tickets to Spain. The competition happens in mid-September. On August 19 in Chula Vista, the team from El Coraloense traveled to the Chula Vista Harbor Fest 2017 where they awarded Best Taco of the festival. 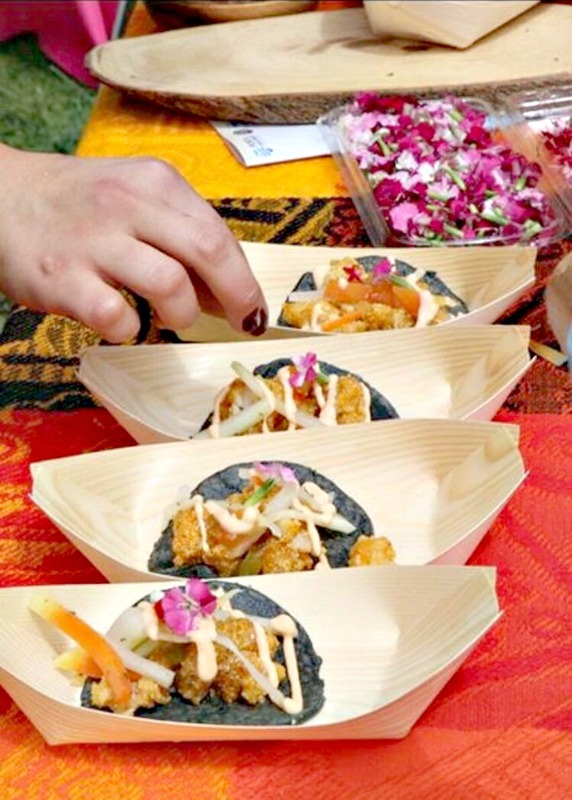 The winning taco was an organic blue corn tortilla made to order with chicharron de pescado, infused with a sweet and savory chile sauce and pickled green papaya and Sriracha chile and edible flowers. El Coraloense beat about 15 chefs for a prize of $1,000 with the all-important bragging rights. Since 2007, El Coraloense is a family-run establishment that blends Nayarit and Sinaloa-styles of seafood together but elevates them with fresh local ingredients and menu creations. The restaurant remains true to its roots while striving to break the mold with modern techniques and flavors. 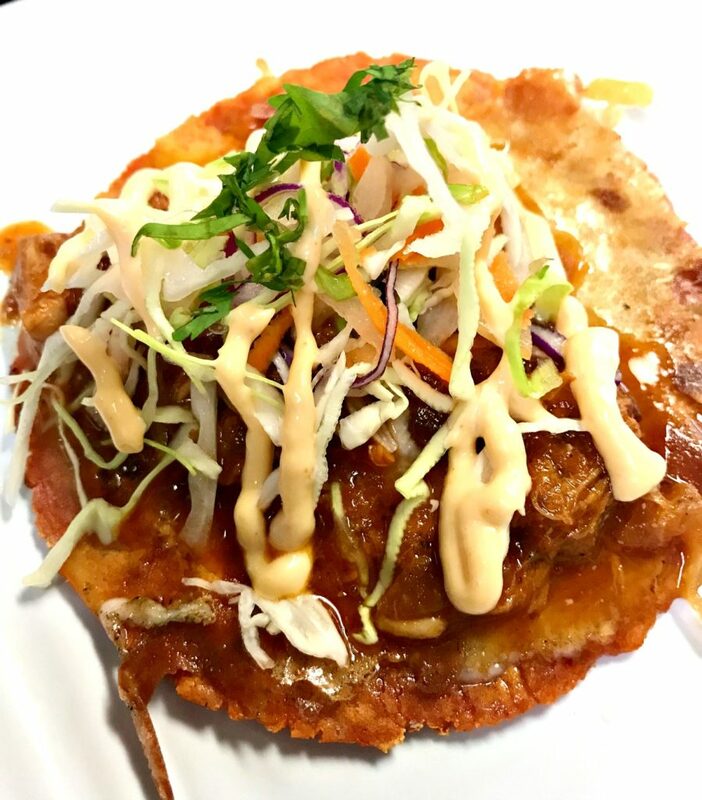 With Chef Parents, Leo and Maria hailing from Nayarit and Sinaloa, you can be sure to always expect bold, fresh flavors. Today, two children Chef Natalie Curie and Chef Leo Curie, both armed with culinary degrees from Le Cordon Bleu, are at the helm in the kitchen. Visit El Coraloense at 6600 Florence Avenue, Bell Gardens, Ca, or request catering at (562) 776-8800 and visit the website by clicking here.